Musings of a Pertinacious Papist: A Christmas Reflection: What if the Biblical narrative were true? A Christmas Reflection: What if the Biblical narrative were true? Let us now go even unto Bethlehem, and see this thing which is come to pas, which the Lord hath made known unto us. Here we are again, on the first day of the Christmas season. It has become something of a Christmas tradition for me to engage the following text by C.S. Lewis in connection with the above quoted Scriptures. The reason will be obvious. Nearly every Christmas, it seems, NEWSWEEK or TIME or some television special will feature the "latest scholarship" questioning the "authenticity" of the Christmas story. I am not concerned with the question about whether the Nativity of our Lord occurred on December 25th. That's a matter of Church tradition and incidental to my concerns here. What concerns me is how the Biblical narrative itself is invariably called into question or even dismissed as mere "myth" -- the account of the shepherds, the Angelic host, the Christ Child in a manger, the Star and the Magi from the East, Herod's slaughter of the innocents, the flight of Mary and Joseph and the Christ Child into Egypt, etc. The scholarly authorities typically interviewed, whether Catholic or Protestant, are consistently and incorrigibly one-sided, quite thoroughly corrupted by the Humean and Kantian philosophical presuppositions undergirding the historical-critical reading of the Biblical narrative. Typical is the About.com website, where Internet browsers frequent to learn "the facts" about this or that -- a site where one finds this sort of thinking gone to seed in an article by Austin Cline, "Nativity vs Gospels: Are the Gospels Reliable About Jesus' Birth?" (About.com), where the partisan skepticism of such historical critical assumptions is abundantly evident in his suggestions that all the key ingredients of the Nativity story in the Gospels were concocted fictions of various kinds. Lewis, an Anglican, was a man of deep Catholic habit of mind, probably because of his immersion in medieval literature; and many have wondered why he never himself crossed the Tiber. Walker Percy even compared him to Moses, who led many others to the Promised Land, though never himself crossing over. A number of books have been written about this, like Joseph Pearce's C.S. 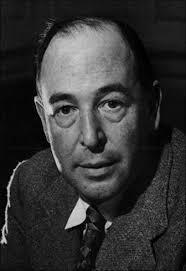 Lewis and the Catholic Church, and Christopher Derrick's C.S.Lewis and the Church of Rome. The most probable reason is cultural: his father was an Ulsterman. Whatever the reason, his common sense criticisms of those Biblical "experts" who attempt to dismantle the entire Biblical narrative under the influence of Enlightenment prejudices, can be accepted with gratitude. C.S. Lewis, Christian Reflections, edited by Walter Hooper. Hurd Baruch, "The Crisis in Biblical Scholarship" (New Oxford Review, December 2014). Where is the interest in trying to investigate the validity of divine inspiration related to Mohammed, when, as far as I have read, the scientific carbon dating of the oldest known fragments of a Koran, seem to preexist Mohammed. Puzzles me, but not when I think of the lack of character in those who masquerade as journalists and scientists and do not find THIS tidbit worth looking into. Thanks for that. I always love reading C.S. Lewis. Brilliant man. I wonder what Lewis would have to say about this: Off-topic somewhat, on another site there's an argument going on amongst commenters about the syrupy-Protestant "Christmas" song "Mary, Did You Know?" Unfortunately it's heard all too often in Catholic churches even. The song's premise being that of course the Blessed Mother knew nothing of who her Son was, from beginning (Gabriel's appearance to Mary) to the end (at the foot of the cross). In any event, here is Edelsheim: Alfred Edersheim, in his "The Life and Times of Jesus"
And yet Jewish tradition may here prove both illustrative and helpful. That the Messiah was to be born in Bethlehem, was a settled conviction. Equally so, was the belief , that He was to be revealed from Migdal Eder, 'the tower of the flock.' This Migdal Eder was not the watchtower for the ordinary flocks which pastured on the barren sheepground beyond Bethlehem, but lay close to the town, on the road to Jerusalem. A passage in the Mishnah  leads to the conclusion, that the flocks, which pastured there, were destined for Temple-sacrifices , and, accordingly, that the shepherds, who watched over them, were not ordinary shepherds. The latter were under the ban of Rabbinism, on account of their necessary isolation from religious ordinances, and their manner of life, which rendered strict legal observance unlikely, if not absolutely impossible. The same Mishnaic passage also leads us to infer, that these flocks lay out all the year round, since they are spoken of as in the fields thirty days before the Passover -- that is, in the month of February, when in Palestine the average rainfall is nearly greatest. Thus, Jewish tradition in some dim manner apprehended the first revelation of the Messiah from that Migdal Eder, where shepherds watched the Temple-flocks all the year round. Of the deep symbolic significance of such a coincidence, it is needless to speak. It was, then, on that ‘wintry night’ of the 25th of December, that shepherds watched the flocks destined for sacrificial services, in the very place consecrated by tradition as that where the Messiah was to be first revealed.